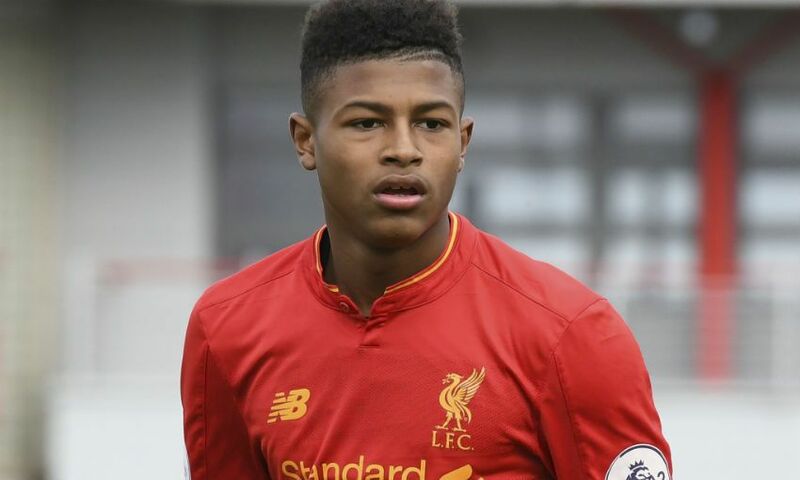 Goals in either half from Rhian Brewster and Madger Gomes earned Liverpool U23s a 2-0 friendly victory over Hoffenheim at the Academy on Friday afternoon. Striker Brewster, who had earlier hit the woodwork, put the young Reds in front in the 33rd minute with a downward header at the far post from Sam Hart’s deep cross from the left. And Gomes ensured Mike Garrity’s side ended an entertaining contest - which was watched from the sidelines by Steven Gerrard, Steve McManaman and Alex Inglethorpe - as winners by coolly side-footing home midway through the second period. Liverpool return to competitive action on Monday afternoon when they travel to Leicester City in Premier League 2, a game you can watch live on LFCTV GO. A lively start to the match included chances for both sides, with Tom Brewitt producing a last-ditch block at one end before Brewster cut in from the left and rattled the underside of the bar at the other. Liverpool goalkeeper Andy Firth made a fine save with his legs to prevent Hoffenheim going ahead in the 22nd minute, and the visitors had a goal disallowed for offside soon after. But it was Garrity’s team who took the lead shortly after the half-hour mark, when Brewster peeled off to the back post and nodded home Hart’s superb out-swinging delivery. The young Reds were on top and Hart went close to doubling their advantage before half-time when he forced Hoffenheim’s ‘keeper into a sprawling save with a long-range attempt. The second half began as the first ended - with Liverpool in the ascendancy. Matty Virtue shot into the side-netting after good work down the left from Brewster, before Gomes slid an effort wide from close range. But Gomes didn’t have to wait much longer to get his name on the scoresheet, as he sealed the young Reds’ victory by making it 2-0 with a calm finish from inside the area.